Add onions, ginger, steak, salmon (whole), Maggi, and beef broth. Bring to a boil, simmer 1 ½-2 hours until steak is tender and cooked through. KEEP COVERED, you’re not boiling it down. (Salmon will have disintegrated completely, but that doesn’t matter). Soak rice noodles in hot water 10-15 minutes. Boil noodles for 1 minute, strain and rinse in cool water immediately. After broth is done, cut steak in very thin strips – crossgrain if possible. 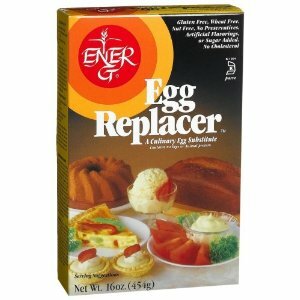 Related posts: my standard Asian-food cooking substitutes. Cook rice. Dice zucchini, parsnips, celery, onions, and finely chop the garlic. Clean and chop the spices. Dice the chicken. Add chicken to garlic and onions along with tarragon and thyme. Sauté on high until outside of the chicken is white all over, stirring frequently. Reduce heat to medium-low and cover. Stir every 5 minutes until chicken is cooked through. Whisk dressing ingredients together. Serve on side. Mix rice, veggies, chicken. 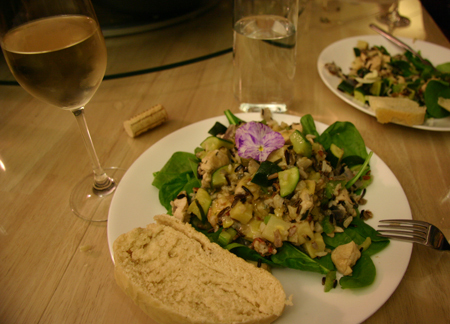 Serve over spinach, top with flowers. Add dressing to taste. 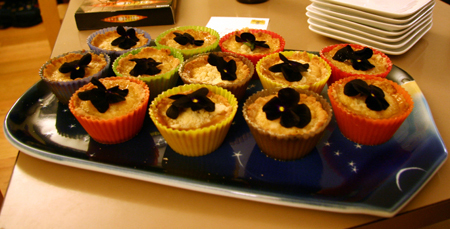 As many pansy flowers (violas) as you have cupcake molds. Measure syrup in 2 cup glass measuring cup. Boil water. Boil lemon juice in a glass measuring cup in the microwave. Add baking soda to hot water. Add water and lemon juice to syrup measuring cup and mix thoroughly. Assemble pie by alternating layers of the liquid and the top crumbs – 3 layers of each.Bake at 375F for 20-30 minutes. When cool, top with one pansy each. These are a great egg-free replacement for lemon bars. The texture is somewhat similar, and the flavor is pretty close.